Still a Work In Progress, but once completed, it will be available in eBook and paper formats. online and in person. There will probably be supplemental volumes for the different regions to go into more depth-these will most likely be enhanced eBooks with video tutorials and will be available through iBooks. I will make sure to offer these on YouTube and/or via this site so that everyone has access to them. It is full of travel tips and will have a massive amount of recipes from all over the world. This is an extremely research-heavy endeavor, and therefore the reason why it is taking longer to compose and create than my first book, Recipes From The Kitchen Of A Self-Proclaimed Veganista. 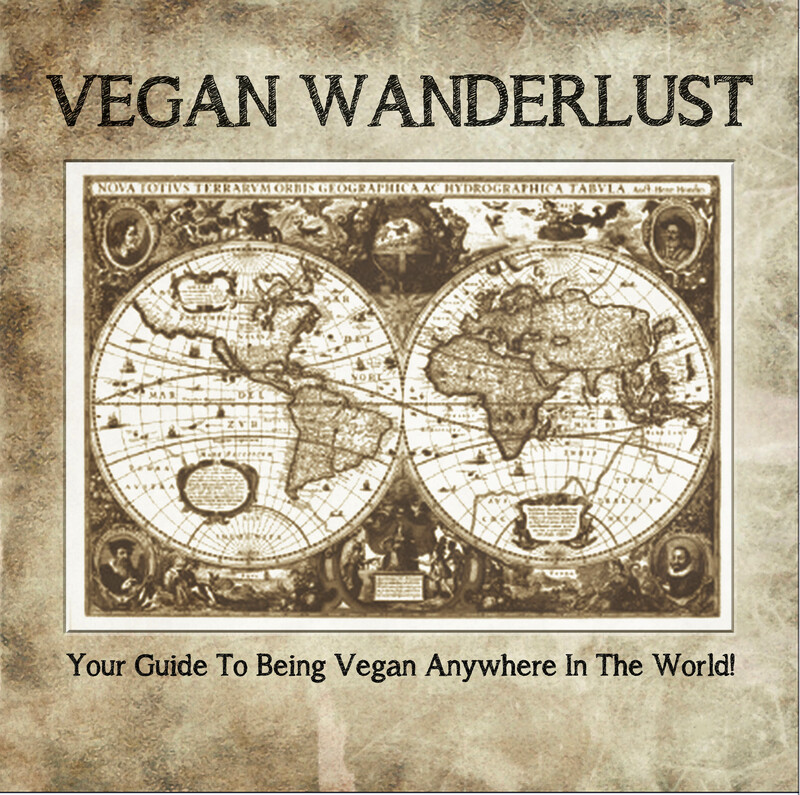 I suspect that once completed, Vegan Wanderlust will be too many pages to qualify as a paperback, so may need to be a hardbound cookbook. The artwork and photos will be awesome though, so be prepared for it to be on display on your coffee tables to show off to everyone that stops by.